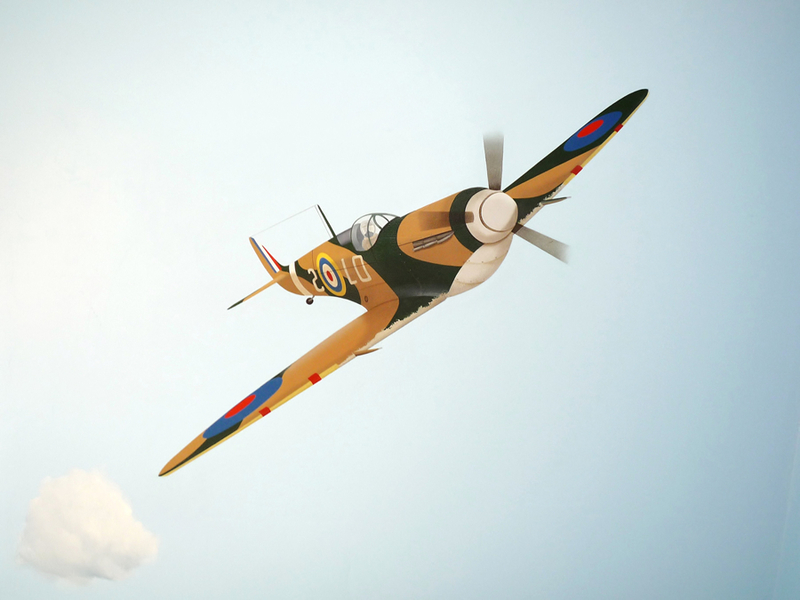 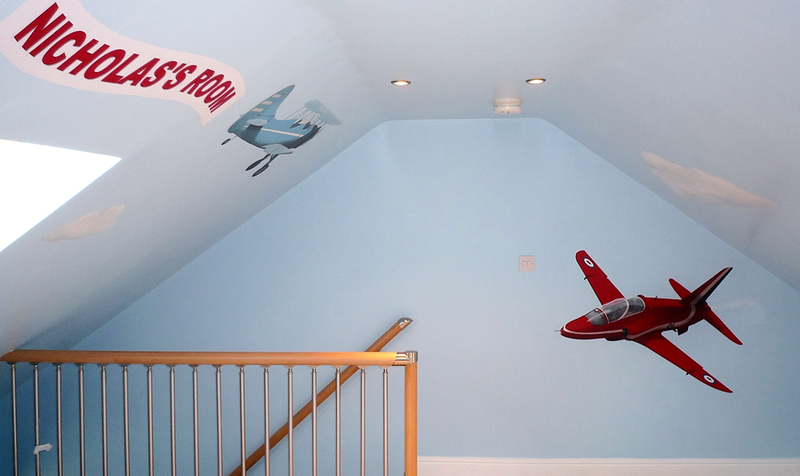 This hand painted airplane inspired mural was painted in a boy’s attic bedroom. 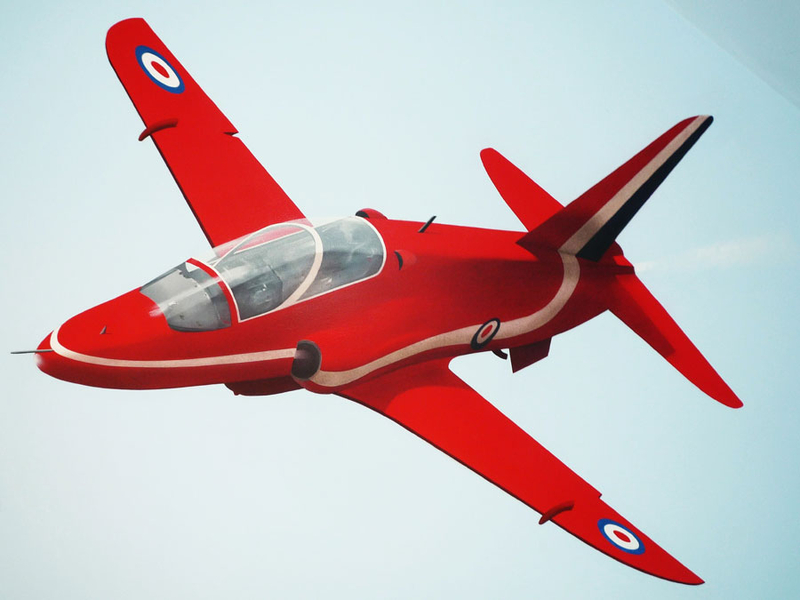 The parents told me he loved anything to do with planes so we decided it would be great to have a cross section – a modern Red Arrows plane, an old bi-plane and a Spitfire. 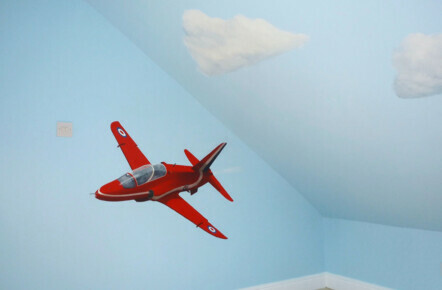 The ceiling was ‘clouded’ to create the perfect backdrop and the banner trailing behind the bi-plane really personalised the room. 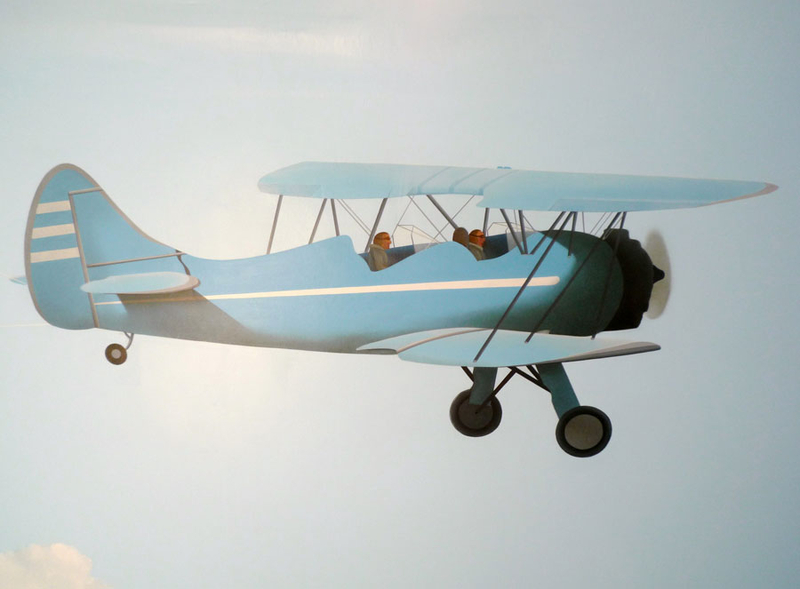 Please use the following links to find out more about the Mural Painting Process and Prices or to see the Main Childrens Murals Page or Full Mural Gallery. 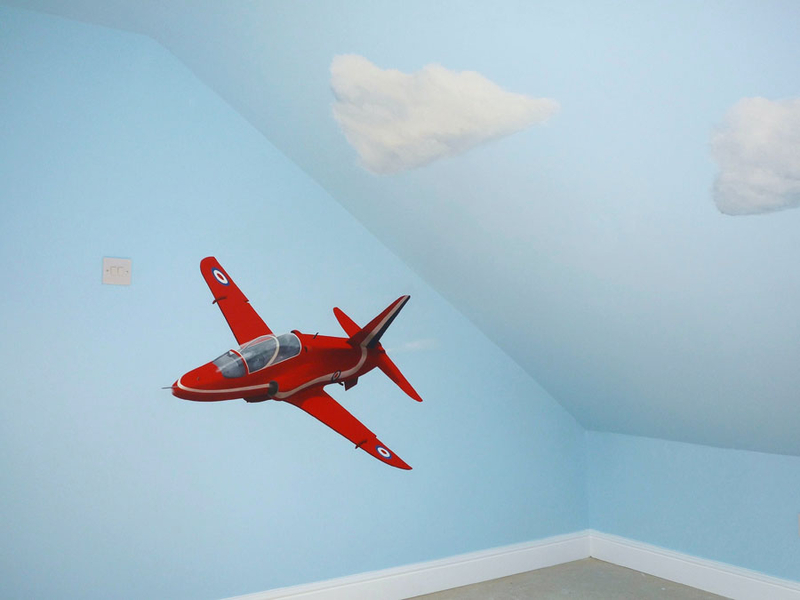 Lee works throughout Yorkshire and the UK and is within easy reach for projects in Leeds, York, Wetherby, Ripon, Bradford, Selby, Doncaster and the surrounding areas.